Grace-full Nail Polish P3 (Power of Three) is a blue-to-red multichrome shimmer that covers in two thin coats. This is super-opaque and has a great formula. 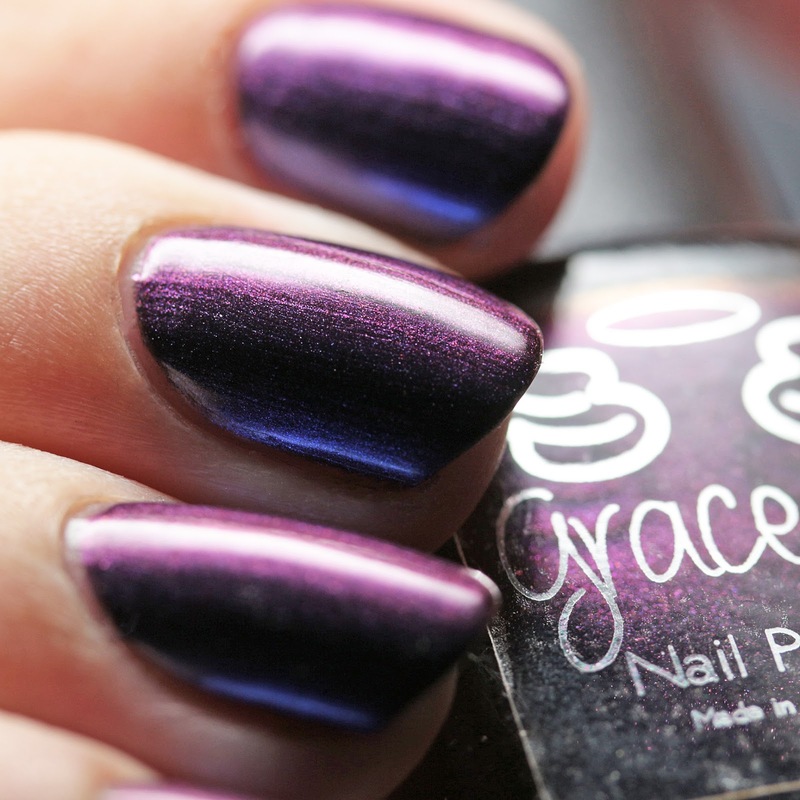 Grace-full Nail Polish Premonition is Phoebe's color. It is a dark magenta-pink linear holo with blue-to-red microflakes and shimmer. 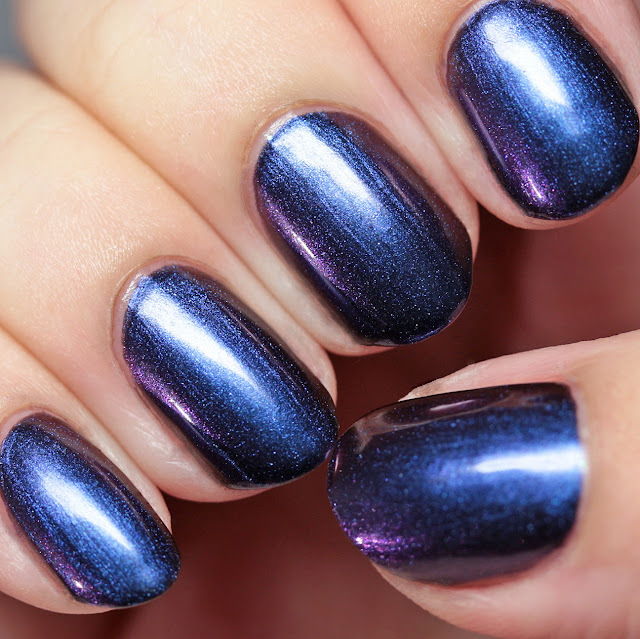 This also covers in two thin coats with a perfect formula. 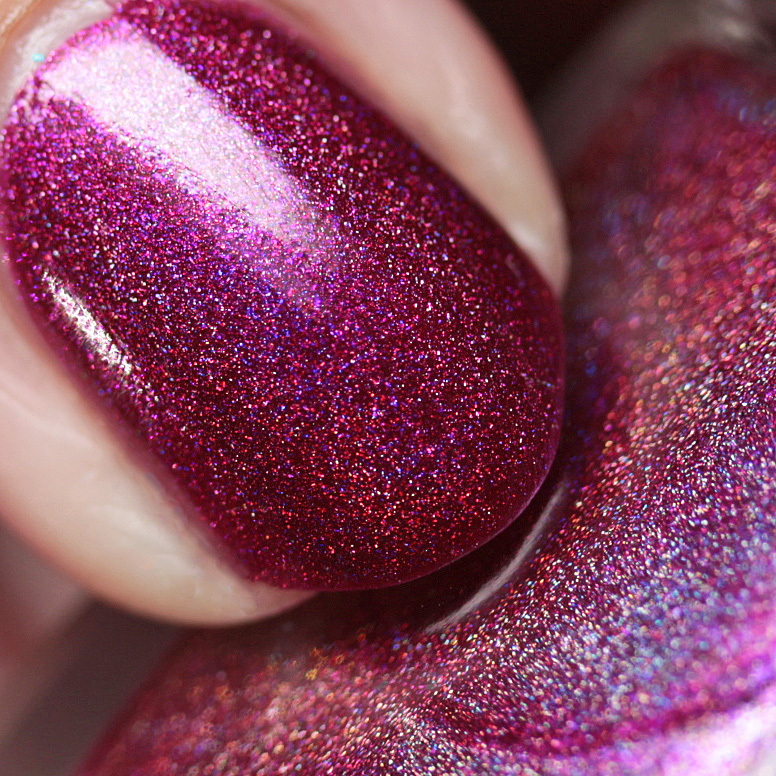 Man, does this one sparkle and shine! 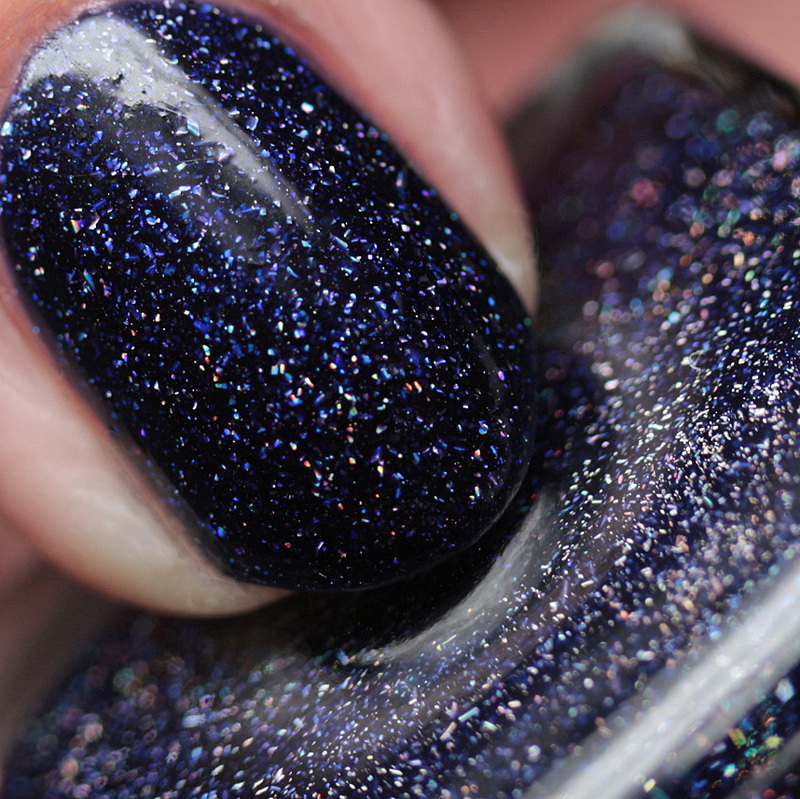 It is nothing short of spectacular. Grace-full Nail Polish Telekinesis is a deep indigo jelly with holo flakes. This is inspired by Pru. 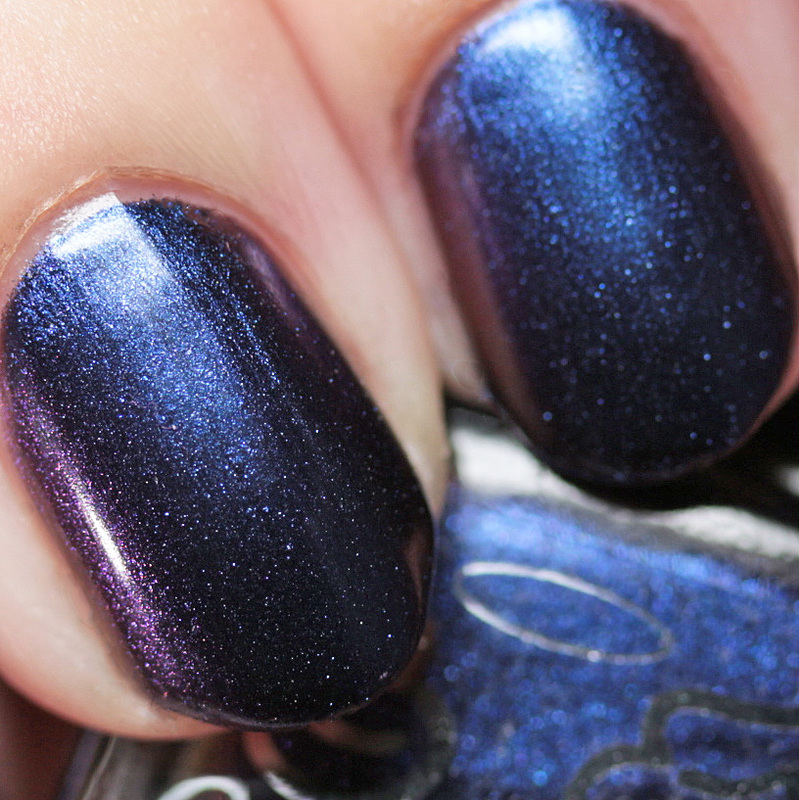 I wore it in three thin coats, but fewer will do. 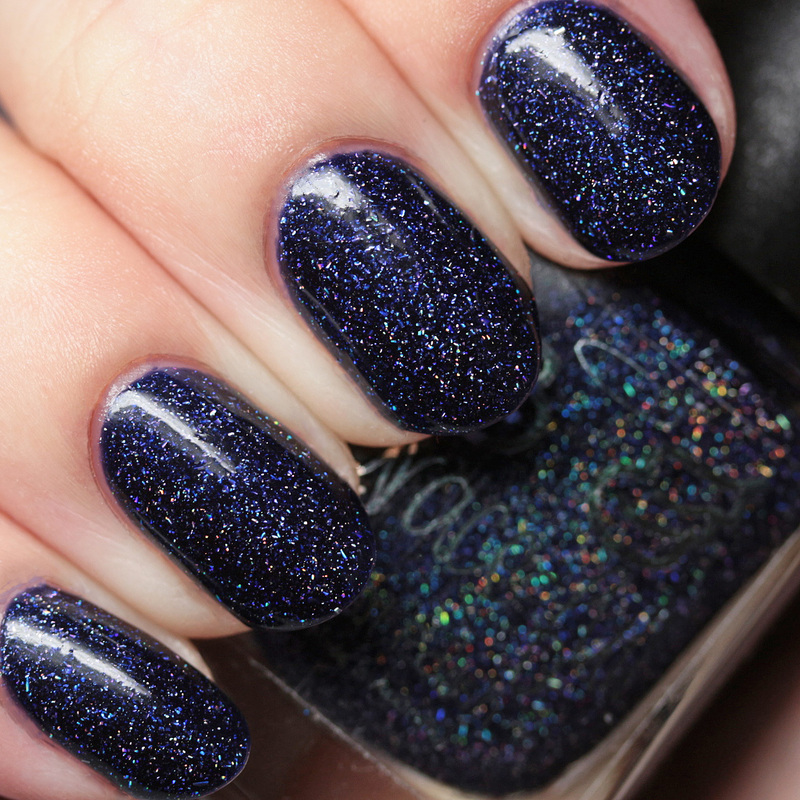 The flakes have some texture, so you will need a plump top coat for smoothness. 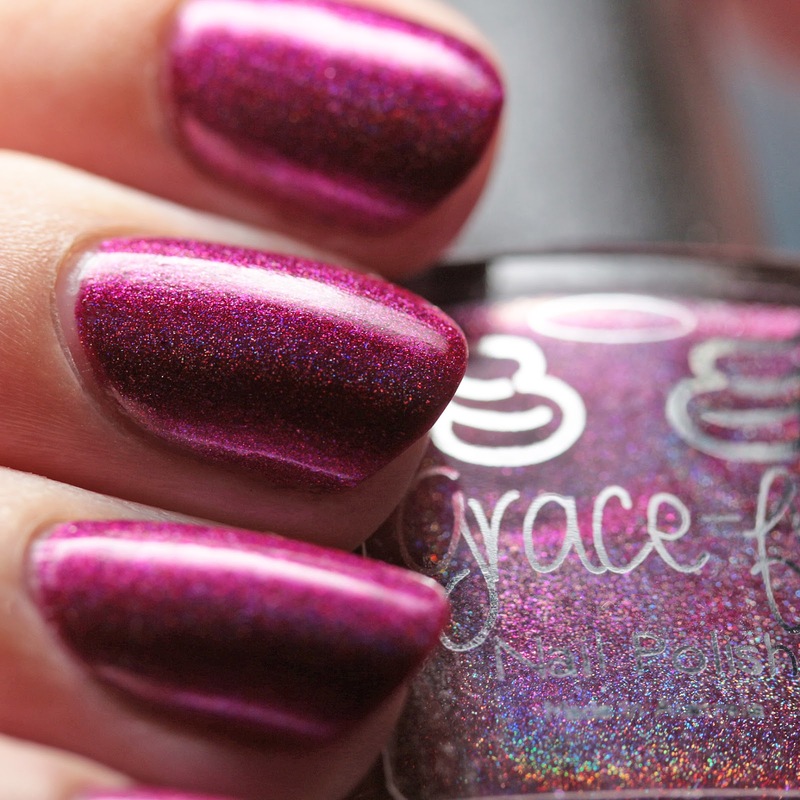 Grace-full Nail Polish Whitelighter represents Leo. 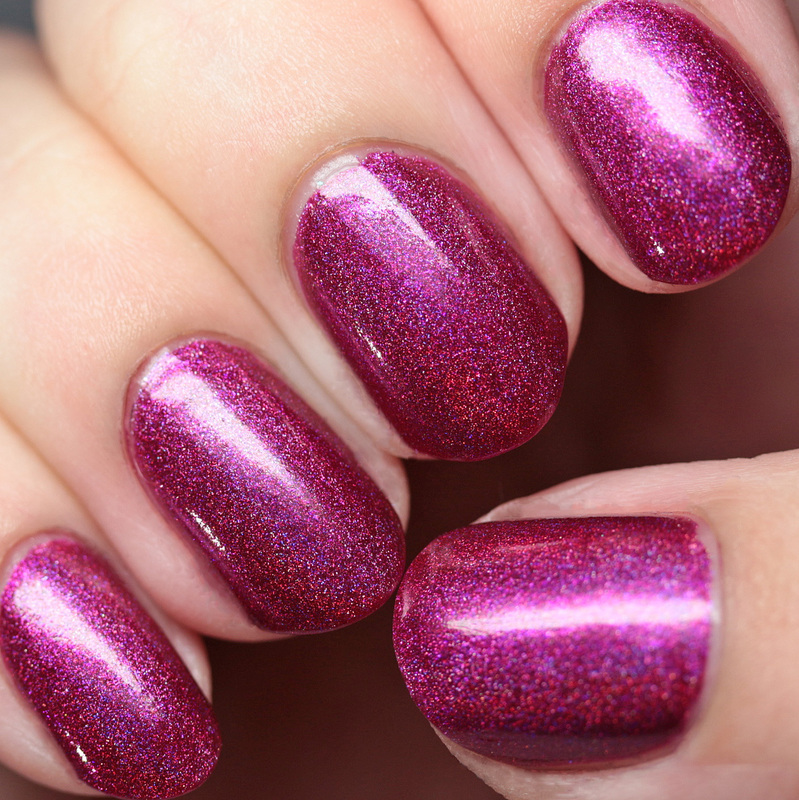 it is a light gray to robins egg thermal with holo shimmer and microglitter. I wore this in three coats. It has a somewhat thicker formula but is manageable. 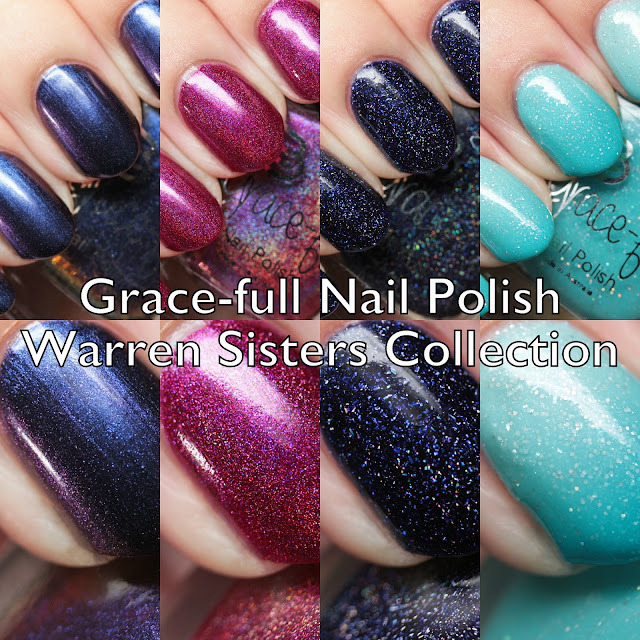 That wraps up the Grace-full Nail Polish Warren Sisters Collection. 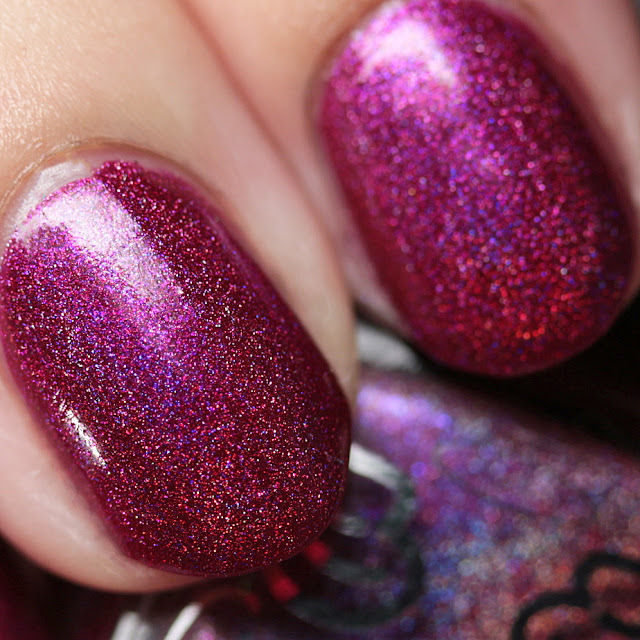 The polishes are available in both the Australian and international stores currently. 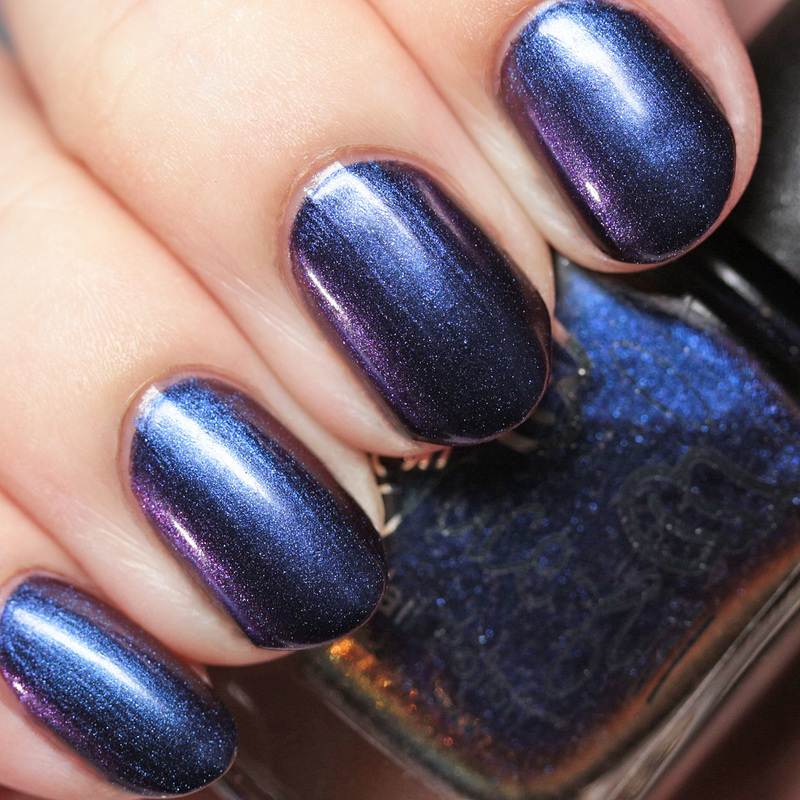 I have to say that I really love Premonition and Telekinesis from this batch. 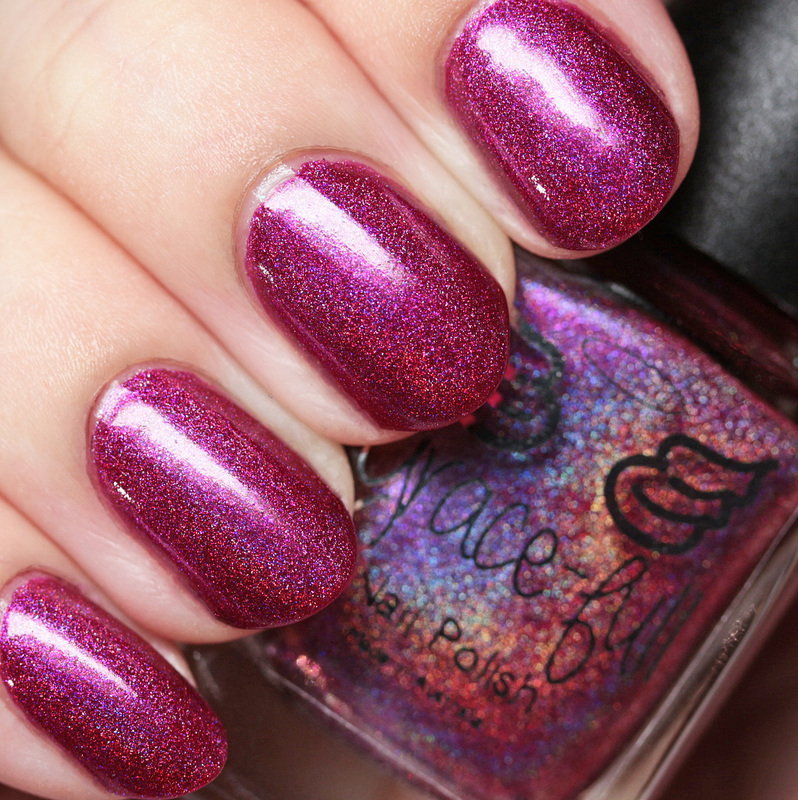 If you missed the other review, check out the other four polishes here. Do you watch Charmed?